At EdTech 2018, we are excited to have three dynamic keynote speakers who will be addressing our theme – TEL Quality Matters: People, Policies and Practices – from differing perspectives. 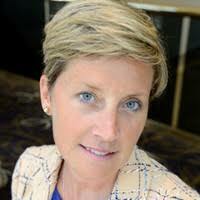 Jill Buban currently serves as the Senior Director of Research and Innovation for the Online Learning Consortium. Before stepping into her current role, Buban was the Assistant Provost for Research and Innovation at Post University. Buban worked at Post University for 3 years and served as Master of Education, Academic Program Manager and Dean of the School of Education. This followed a position in Academic Affairs at SUNY Empire State College. Dr. Mary-Liz Trant is Executive Director for Skills Development in the further education and training authority SOLAS. Her areas of responsibility include national expansion of apprenticeship and traineeship; skills development of employees; technology-enhanced learning and professional development of teachers and tutors within further education and training. 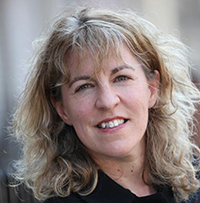 Previously Mary-Liz held senior posts in the Higher Education Authority as Head of Skills and Enterprise Engagement and Head of the National Office for Equity of Access to Higher Education. Earlier in her career Mary-Liz worked with early school leavers and taught at both second and third-level. Mary-Liz holds a doctorate in Education; Masters Degrees in Education and in French; and a Higher Diploma in Education. She has published on equality of access in education; inclusive teaching and learning, curriculum development, assessment; and the liberal vocational ideal. Martin Weller is Professor at the Institute of Educational Technology at the Open University. 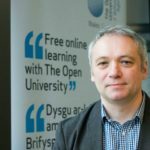 He is the Director of the OER Hub, a research unit examining the impact of open education. He is the author of the books The Digital Scholar and The Battle for Open, both available under Creative Commons licences.